The Rabbi with a Blog (Rabbi Jason Miller): Technology vs. Shabbat: Can We Accommodate Our Electronics Dependency On the Day of Rest? Technology vs. Shabbat: Can We Accommodate Our Electronics Dependency On the Day of Rest? E-books became the dominant format for adult fiction in 2011 surpassing hardcover books and paperbacks according to the BookStats annual survey. We are increasingly choosing to read our novels, magazine, newspapers and even children’s books on e-readers and tablets. But is it permissible to do this on the one day of the week that Judaism commands us to unplug? 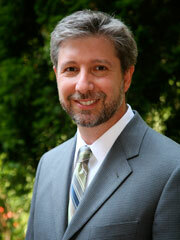 Rabbi Daniel Nevins, a Conservative rabbi who is the dean of the rabbinical school at the Jewish Theological Seminary in New York and the former rabbi of Adat Shalom Synagogue in Farmington Hills, recently published a *teshuva (religious response) regarding the use of electrical and electronic devices on the Shabbat. What made you decide to take up this issue now? I've been thinking about electricity and Shabbat for decades actually; since I really began observing Shabbat. I started researching the halachic [Jewish legal] issues involved and I found that there may have been a consensus in the Orthodox world that no electricity was allowed and yet there was no sense about why. It was worth clarifying what the considerations were. In recent years, I’ve come to feel that technology has become integrated in a rapidly accelerating fashion in our personal lives and the lack of clarity about the halachic issues were creating a bit of chaos in people’s understanding of what the laws of Shabbat have to say about electronics, and moreover, what the culture of Shabbat should be. How do the issues of electronics use on Shabbat affect you personally? I’m a parent of three teenagers and creating policies for our family that protect the special atmosphere of Shabbat so that we’d have one day to look at each other in the eyes and not constantly be looking down at glowing screens. That was part of the motivation, which I think is shared by many families that are trying to preserve some element of intentional family time which is not distracted by all the other devices that constantly call our thoughts away. When you started writing this teshuva, which electronic devices did you have in mind? Certainly computers and cell phones were significant; those are probably the most important ones I was thinking about. The iPad wasn’t out yet. I did begin thinking about the Amazon Kindle fairly early in the process, but I had not yet focused on one specific brand. I tried to focus less on the brand names than on the technology. What was your intended outcome in writing this? Were you trying to make Shabbat easier for people? So, what happens in the future if the only way to read a book really is electronically? 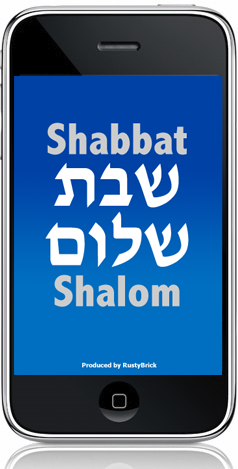 If the only way to read a book on Shabbat is on the Kindle, then I would say we need to come up with ways for the Kindle to be operated without downloading new content or creating permanent records. If there’s a will there’s a way technologically, not just halachically. Where there’s a halachic will there’s a halachic way? Would your teshuva be categorized as meta-halachic since you’re not halachically opposed to electricity on Shabbat? You’re prescribing a break from the workweek, so how is this teshuva different from the various ‘un-plugged’ campaigns and Sabbath Manifesto? Well, I’ve spent dozens of pages working on halachic sources and making conclusions for halachic reasons. Meta-halacha implies there’s something outside of the halacha; an external body, but that’s the opposite of my belief. Describe the difference between an electric sink or automatic door and using an Amazon Kindle or an iPad on Shabbat. Electronic devices are embedded everywhere, making it almost impossible to avoid electronic interaction. That’s the core of my paper. The difference that I see between those two is that motion detectors that open doors and turn off taps and lights do not leave any permanent record. I understand melacha to be about transforming material. A Kindle, which downloads information from the Internet and also tracks usage so that it knows where a reader is and where they left off, seems to be to be more akin to writing and therefore involves a transformation of material of reality. For that reason, I think use of a Kindle and other electronics as being prohibited under the category of kotev, of writing. Radio, television, and computers have been around for a while. Why now, with the proliferation of Smartphones, tablets, and e-readers are you bringing this up? Well, already 60 years ago Rabbi Arthur Neulander began talking about the use of electronics and I quote him in the paper and basically agree with him. He discussed TV and radio, not computers at that time in the 1950s. I basically think that turning on a television and turning on a radio do not involve writing and therefore are not prohibited as forms of melacha. However, I question whether they are appropriate to the atmosphere of Shabbat, which we call sh’vut, in terms of resting. Computers I believe do involve downloading content, even without the user being aware of it. Every time you browse to a new web page you’re downloading information, you’re sending cookies, and you’re doing all sorts of processes which you’re not thinking about. Part of Shabbat is getting people to think more about the impact of their behavior. On Shabbat, as I say in the paper, we try to emphasize personal interaction. Our digital technology isolates us from the people around us. And therefore it defeats part of the purpose of Shabbat. What about some exceptions to the rule? Let’s say someone is disabled and the only way of reading is through a Kindle that enlarges type, then you might say that their human dignity would supersede the general level to use electronics. Any thoughts on what’s become known as the “Half-Shabbos” in the Orthodox community, when observant teenagers will text their friends on Shabbat, but otherwise observe the laws? I address this in the footnotes. The “Half-Shabbos” phenomenon is testimony to the great allure of digital media, but I feel that this makes us realize that it’s distracting. And I would say to teens, davka [precisely] don’t text on Shabbat. Talk to people. Make eye contact. What about for Jews who are living in isolation who are lonely on Shabbat? Okay, you’re in Alaska, you’re on an army base, and you’re the only Jew on the base… I can understand the desire to interact with others. But still, texting involves writing so therefore I think it’s forbidden. What about competing values? For example, a Jewish person in an area with no community wants to watch a live stream of Shabbat services or wants to study Torah with a friend on Skype during Shabbat afternoon. I also talk about these issues in the paper. Certainly the motivation to participate in a community is very strong, and should be respected. If there’s a way to participate without violating the prohibition on writing, then I would be sympathetic to it. But, it’s a bit of a slippery slope. Once you’re using your computer and using your TV, then you might use it for other things as well. Aren’t these gadgets just a way of life and Jewish law has to adapt? Yes, that’s true, but we need vacations from routines now and then and Shabbat is about challenging us to change our routine one day a week and experience life a bit differently. How does one define “Shomer Shabbat” [Sabbath observant] today? A person trying to be “Shomer Shabbat” is committed to differentiating Shabbat from the workweek by abstaining from certain activities and engaging in other activities that are specific to Shabbat. As I say in the paper, we desist from melacha and some other activities which detract from the tranquility of the day. We engage in activities like eating, sleeping, praying and studying. That makes the day sort of an image of an ideal world; the experience of an ideal world. Jewish law evolves and the halachic system progresses, so doesn’t this teshuva keep the system from adapting to technological innovation? I think it’s the opposite. I think it engages with the reality of digital culture – its attraction, its usefulness, and its negative consequences. This paper tries to take the feel of Shabbat and apply it to the digital age that we’re living in. For good and for bad. How will you help young people access your teshuva and apply your prescriptions to their technology-dominated lives? I’m working on a curriculum for Ramah camps, Schechter day schools and USY [Conservative movement’s youth agency]. You don’t do something like this without the intention of teaching it to people who aren’t going to read a 60-page paper. Finally, would it be ironic if someone read your teshuva on their iPad on Shabbat afternoon? Yes (laughs). I’ve told people not to read my paper on the Kindle because that would be ironic. I don’t believe that we’ve come to the final chapter in this. In the paper I explained that as technology continues to evolve, we’ll gain new insights. It may be that in the future there may be a way to use e-readers on Shabbat without violating the concerns I raise in this paper, and I would like that. Originally published in the Detroit Jewish News and cross-posted to the Jewish Techs blog at The Jewish Week. It seems like making some electronic device have a read-only Shabbat mode wouldn't be too hard. I'm worried what books would be available though. Ideally it would be relatively open so whatever is on my Kindle (nook, etc.) would be readable. If you had to buy separate Shabbat books or pay more, it would be less attractive. Great initiative..I really liked your post..These are sure some great ideas and I feel it should be used in a better way..